In January, we published our first Internet Health Report on the current state and future of the Internet. In the report, we broke down the concept of Internet health into five issues. 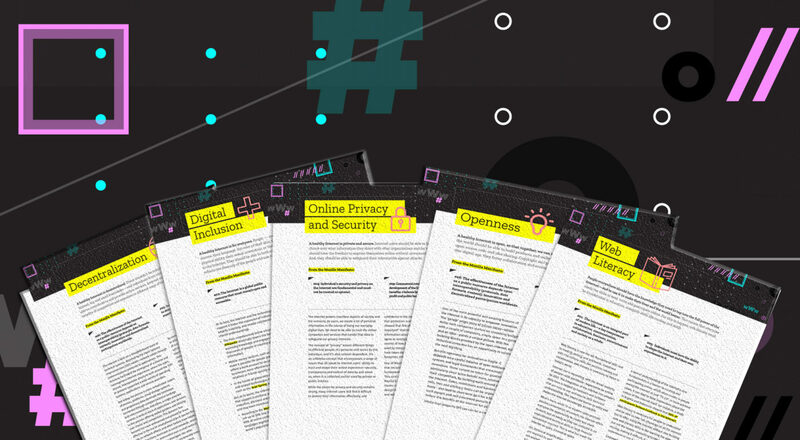 Today, we are publishing issue briefs about each of them: online privacy and security, decentralization, openness, web literacy and digital inclusion. These issues are the building blocks to a healthy and vibrant Internet. We hope they will be a guide and resource to you. We live in a complex, fast moving, political environment. As policies and laws around the world change, we all need to help protect our shared global resource, the Internet. Internet health shouldn’t be a partisan issue, but rather, a cause we can all get behind. And our choices and actions will affect the future health of the Internet, for better or for worse. Security and privacy on the Internet are fundamental and must not be treated as optional. Meaningful user control – People care about privacy. But effective understanding and control are often difficult, or even impossible, in practice. 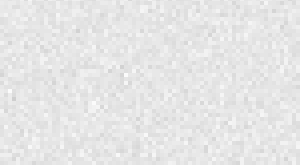 Data collection and use – The tech industry, too often, reflects a culture of ‘collect and hoard all the data’. To preserve trust online, we need to see a change. Government surveillance – Public distrust of government is high because of broad surveillance practices. We need more transparency, accountability and oversight. Cybersecurity – Cybersecurity is user security. It’s about our Internet, our data, and our lives online. Making it a reality requires a shared sense of responsibility. Protecting your privacy and security doesn’t mean you have something to hide. It means you have the ability to choose who knows where you go and what you do. A healthy Internet is open, so that together, we can innovate. Open source – Being open can be hard. It exposes every wrinkle and detail to public scrutiny. But it also offers tremendous advantages. Copyright – Offline copyright law built for an analog world doesn’t fit the current digital and mobile reality. Patents – In technology, overbroad and vague patents create fear, uncertainty and doubt for innovators. Copyright and patent laws should better foster collaboration and economic opportunity. Open source, open standards, and pro-innovation policies must continue to be at the heart of the Internet. There shouldn’t be online monopolies or oligopolies; a decentralized Internet is a healthy Internet. To accomplish that goal, we are focusing on the following policy areas. Net neutrality – Network operators must not be allowed to block or skew connectivity or the choices of Internet users. Interoperability – If short-term economic gains limit long-term industry innovation, then the entire technology industry and economy will suffer the consequences. Competition and choice – We need the Internet to be an engine for competition and user choice, not an enabler of gatekeepers. Local contribution – Local relevance is about more than just language; it’s also tailored to the cultural context and the local community. When there are just a few organizations and governments who control the majority of online content, the vital flow of ideas and knowledge is blocked. We will continue to look for public policy levers to advance our vision of a decentralized Internet. People, regardless of race, income, nationality, or gender, should have unfettered access to the Internet. Advancing universal access to the whole Internet – Everyone should have access to the full diversity of the open Internet. Advancing diversity online – Access to and use of the Internet are far from evenly distributed. This represents a connectivity problem and a diversity problem. Advancing respect online – We must focus on changing and building systems that rely on both technology and humans, to increase and protect diverse voices on the Internet. Numerous and diverse obstacles stand in the way of digital inclusion, and they won’t be overcome by default. Our aim is to collaborate with, create space for, and elevate everyone’s contributions. Everyone should have the skills to read, write and participate in the digital world. Moving beyond coding – Universal web literacy doesn’t mean everyone needs to learn to code; other kinds of technical awareness and empowerment can be very meaningful. Integrating web literacy into education – Incorporating web literacy into education requires examining the opportunities and challenges faced by both educators and youth. Cultivating digital citizenship – Everyday Internet users should be able to shape their own Internet experience, through the choices that they make online and through the policies and organizations they choose to support. Web literacy should be foundational in education, like reading and math. Empowering people to shape the web enables people to shape society itself. We want people to go beyond consuming and contribute to the future of the Internet. Promoting, protecting, and preserving a healthy Internet is challenging, and takes a broad movement working on many different fronts. We hope that you will read these and take action alongside us, because in doing so you will be protecting the integrity of the Internet. For our part, we commit to advancing our mission and continuing our fight for a vibrant and healthy Internet.